Lib Dem Treasury minister to pour more concrete for cars, ditches plans for £1bn Office for Active Travel. This is the "greenest Government ever," repeated Chief Secretary to the Treasury, Danny Alexander, in his infrastructure speech given to parliament earlier today (the details of which are in a frankly terrifying 75-page Treasury report ‘Investing in Britain’s Future’) . Green? More like blacktop, really, as the Coaltion Government has announced it plans to spend billions on new motorways. On the plus side it has also pledged to spend more cash on repairing existing roads but very much on the minus side there was nothing in Alexander’s speech about walking and cycling. In fact, his speech was more reminiscent of the ‘Roads For Prosperity’ era, when, in 1989, Margaret Thatcher said her Government would commence on the "largest road building program for the UK since the Romans." Widespread road protests led to many of the schemes contained within ‘Roads to Prosperity’ being abandoned. Many of these same schemes – so-called "zombie roads" – have now been brought back to life by Alexander. 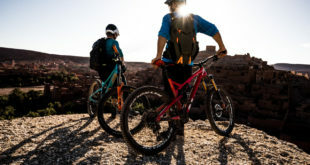 In April Bikebiz reported that the Government would use the Comprehensive Spending Review to announce the Office for Active Travel, a new initiative to get people out of cars and walking and cycling. 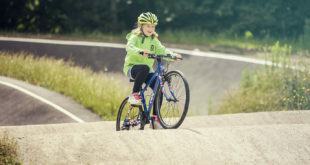 The Office for Active Travel – discussed with many cycling and walking organisations and all but signed off by the Department for Transport – was meant to have an initial budget of £1bn. Alexander made no reference to this new organisation in his speech. Sources close to the plans have expressed their bitter disappointment at the shelving of the Office for Active Travel but hoped it may be resurrected later in the year. As details of Government plans started to become plainer, one of the key losses for active travel looks to be curtailment of the Local Sustainable Transport Fund. This was due to end in 2015 anyway but campaigners expected the cash support to be continued in another way. And today it was revealed the LSTF would be rolled into Single Local Growth Fund, a fund for the 39 local enterprise partnerships (LEPs). In theory, cash formerly meant for walking, cycling and public transport could go to housing instead. Campaign for Better Transport Chief Executive Stephen Joseph said there could be no guaranteed funding at all for greener transport outside London. “The Treasury’s publication Investing in Britain’s future is light years away from the kind of visionary thinking needed to transform Britain’s transport infrastructure and tackle congestion, pollution, the environment and safety concerns on our roads. 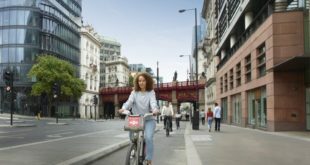 “Despite announcing £28 billion spending on roads infrastructure, there is not a single mention of cycling and this against the backdrop of growing numbers of people getting on their bikes. In his speech to parliament, Alexander said: "Millions of people rely on our road network. We’ve worked hard over the last three years to protect those road users." His next sentence revealed the road users he meant were those who were propelled by motors, as he cited the savings the Government had given motorists. Alexander said: "This government will invest over £28 billion over the 6 years from 2014 in enhancements and maintenance of national and local roads. "Firstly, we will take action to fix the backlog of maintenance, which has left road surfaces in communities up and down the country crumbling. "We are committing £10 billion of investment in road repairs between 2015-16 and 2020-21. "More than £4 billion of that money will be spent on national road maintenance – enough to resurface over 21,000 miles of road; the equivalent of London to Beijing and back. "The other £6 billion of that money will be spent at a local level – allowing Local Authorities to fill the equivalent of 19 million pot holes a year. "Secondly, we will deliver all of the major projects in the Highways Agency Pipeline. "We will add two lanes to the busiest motorways – bringing another 221 lane miles to our road network. "It will see us tackle some of the most congested parts of our network; like the £1.5 billion A14 scheme between Huntingdon and Cambridge." "The A19 between Newcastle and South Shields; The A63 in Hull; The M6 junctions between Birmingham and Manchester; The M5 junctions Bromsgrove to Worcester; The A38 Derby Junctions; The M1 junction near Long Eaton and south of Rugby; The A21 Tonbridge to Pembury; Junctions on the M4; The M23 Gatwick junctions; and The A27 Chichester bypass." "These are investments that we will make sure are delivered," said Alexander. In the Treasury’s 75-page report on its infrastructure plans it’s revealed that the Government will also begin to "upgrade" the majority of the national non-motorway network. According to a shocking sentence in the report "a large proportion" of these roads will be "moved to dual-lane and grade-separated road standard to ensure free-flowing traffic nationwide." Alexander also promised to reform the Highways Agency. He said: "I can announce that we are transforming the Highways Agency into a publicly owned corporation. An organisation that will have the long term funding certainty and flexibility to deliver the best possible road network for the UK’s motorists." Other road users can go rot. On Saturday 12th July a number of organisations, including the Campaign for Better Transport, will be staging Roads to Nowhere – a national rally against road-building to be held at Crowhurstin East Sussex.